Affiliate marketing has been around for quite some time, and it’s one of online marketer’s biggest sources of monthly revenue throughout the last decade. The idea behind SEO Strategies for affiliate marketing is to generate passive monthly income by taking a percentage of all the conversions you generate for a certain set of products. However, many SEOs and agencies have taken notice, and have started to elaborate increasingly optimized and targeted SEO strategies for affiliate marketing on different niches in order to corner as many markets as they can. So, is making affiliate websites and ranking them profitable? How can you rank your niche or authority website? In this article, we’re going to tell you exactly what affiliate marketing looks like as well as what tools and resources you can use now to get your website to page one on the SERPS. What is affiliate marketing, and how can we profit from it? Affiliate marketing is a form of revenue sharing. A specific manufacturer has a product and wants to boost his sales, so he offers different promoters and marketers an incentive through an affiliate program. Some of the more popular affiliate programs and platforms are Amazon Affiliates, Rakuten, eBay and of course Clickbank. Seen from an online marketer’s view, you’d pick a product in a certain niche, promote this company’s product and earn a commission on each sale that you’re able to close. The revenue from this sale is shared between the creator, the platform that serves as the product distributor and the online marketer. One of the most common strategies in affiliate marketing is to create product review website for a specific niche and sell these products for commissions as part of a particular website’s affiliate program. The idea is to reproduce high quality, engaging content that convinces your prospects that the products you’re promoting will solve their problems and fulfill their needs, then design SEO strategies for affiliate marketing websites in order to rank for the keywords you’ve found your prospects regularly type in the search engines. You slap on a few affiliate links on your content, optimize your content and site architecture in order to rank your money articles (where most of your affiliate links are located) and just wait for conversions and cash to start rolling in. We could write an entire guide on how to select a profitable niche, site structure, and outreach, but we’re going to focus on how you can actually rank your money articles, because ultimately, if you’re going to rely on people using the affiliate links inserted in your reviews, you’re going to need tons of traffic to actually make decent money. Affiliate marketing is fairly saturated right now, but it’s still profitable. Amazon is the leading affiliate marketing platform today, (at least for the US market), and most of its product listings and directory has affiliates with medium to high knowledge and experience in SEO for affiliate marketing. 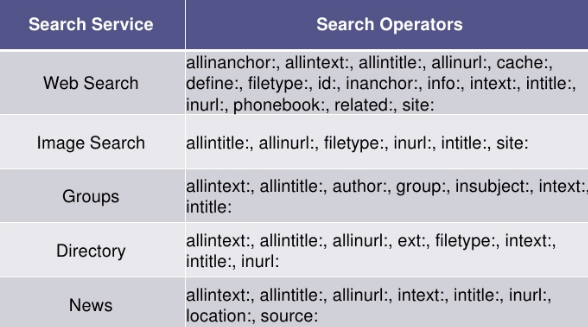 So what kind of competition and niche should you expect to encounter (and outrank)? Low to medium competition niches is where effective SEO strategies for affiliate marketing can net you amazing returns. You won’t have to invest as much on your SEO strategies for affiliate marketing to be on page one for a set of keywords, and if you’re crafty, you’ll be able to outrank your current competition in less time than you probably think. Forget about untapped gold mines when it comes to niche selection: you’ll spend months looking for them (and potentially end up with nothing) and in the meantime, you’ll do absolutely nothing to improve your SEO skills. There are many resources that you can take advantage of to topple your competition, so don’t be afraid to compete and outrank them, in fact, we’re going to show you exactly how! On-page optimization in SEO for amazon affiliate sites is fairly important since a highly optimized page with a good assortment of PBN (Private Blog Networks) backlinks can topple high domain authority articles that are poorly optimized and limited in backlinks. However, before diving into the basic SEO components and indicators your articles must have at all times, it’s crucial we address the first rule of successful sales articles: quality. 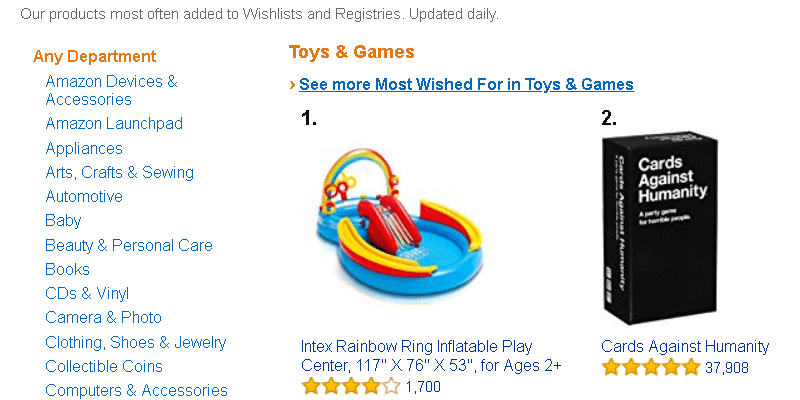 Your sales copy must be able to convince your target audience to click your affiliate link and purchase products. Being a cheapskate when it comes to your content is going to cost you TONS of money down the line, and might even doom what would otherwise be a very successful affiliate site. Many SEO strategies for affiliate marketing factor in outsourcing your website’s content to avoid this common pitfall. Tell your copywriter to make sure your main keyword makes up for 1.5-2.5% of the entire content. Your main keywords need to be present throughout your article so that Google has an easier time understanding that your website is highly relevant to this topic or keyword. Main keywords have a commercial purpose, therefore they take priority (density wise) in any sale article, that doesn’t mean you can’t count on informational keywords when supporting your sale article through other pieces of content. You’ll find that assigning keywords to articles depending on their nature and purpose is key to profitable SEO strategies for affiliate marketing. LSI stands for Latent Semantic Indexing keywords, and they’re basically there to let Google Rankbrain know that this article is also relevant to other keywords, allowing you to rank for many keywords at once. They might not be as valuable or powerful as your main keywords in terms of effective traffic, but they’re still needed to establish topical relevance. You have only a few seconds to captivate your audience, so make sure your opening paragraph is powerful and hooks your visitors right from the start. This will lower bounce rates and allow your articles to rank higher in the SERPs. Ask your copywriter to divide the articles into different sections, and use your main keyword in the H1 title. This allows your prospects to have an easier time reading your content, boosts dwell time on your page and allows Google to understand what the article is all about. Ask your copywriter to insert call to actions and various resources throughout the article to make it easier for your readers to digest all the information. You can include images, video embeds or infographics. A neat trick about video embeds is that they’ll boost your user active sessions on your webpage (Google Analytics allows you to measure exactly how much time a reader spends on your website) and this metric is directly related to higher rankings because Google recognizes this as a positive user experience. Just make sure you distribute them wisely: you don’t want to overwhelm your readers with images and graphics. An extra tip would be to ask your copywriter if he knows how to use WordPress or whatever content manager you’re currently using for your website. If possible, ask him or her to install SEO Yoast and follow the guidelines it recommends when you’re about to publish new content. If most indicators are “green”, you can consider your article to be highly optimized and ready for publishing. There are TONS of extra tips and tricks you can use to optimize your page, just know that it’ll only get you so far because Google needs backlinks and other signals to truly notice your content and bump it to the first page in the SERPs. We have a specific ranking package that can help you get the most of your on-page optimization, so consider purchasing one if you’re getting started! Before we begin talking about SEO strategies for affiliate marketing, it’s important we remember the nature of the content that is going to be posted on your affiliate marketing site and what your overall SEO strategies for affiliate marketing should strive for. 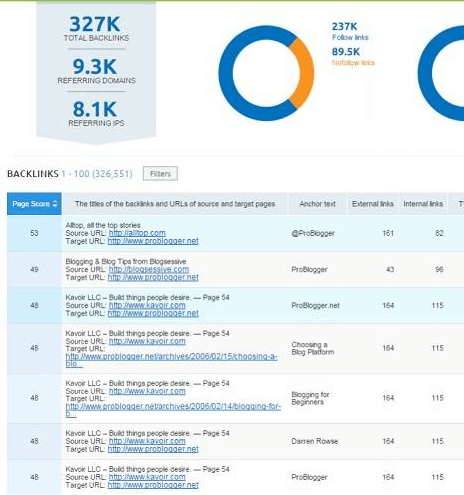 We mentioned that the majority of your backlinks should link your money article directly since it’s where your keywords with high commercial intent and affiliate links are located. The thing is, your money article content is going to be highly commercial, making it extremely difficult to link organically. Because of this, most affiliate marketers come to realize that engaging in content marketing, or traditional outreach is difficult and time-consuming when it comes to finding backlinks opportunities. In fact, many end up paying to get their links featured on guest posts, social media posts, etc. Whitehat SEO for affiliate marketing sites ends up being a very expensive endeavor, and you often find cases where a particular influencer or authority on your niche ends up auctioning high-value links to your competition, with little to be done. This is one of the main reasons why many SEO strategies for affiliate marketing opt to use PBN backlinks. When it comes to SEO for affiliate websites, Private Blog Networks are perfect for boosting your rankings overnight. Effective SEO strategies for affiliate marketing consider all resources available and make the most of them, starting with your most valuable resource: time. Purchasing one of our website ranking packages will allow you to save time you’d otherwise spend chasing after backlinks opportunities from bloggers, influencers or authorities in the niche you wish to go after. Getting these links is very difficult since even email marketing campaigns led by professionals in SEO for affiliates tend to have positive responses around 5% of the time. Imagine harvesting the contact information of a hundred influencers and going through the trouble of contacting them, just to find out that only three of them would be willing to link your money article for 15$. It’s a huge waste of time, and it’s precisely why SEO strategies for affiliate marketing tend to avoid this path. Imagine all that you could do during this time to continue promoting your website. Buying PBN backlinks from blackhatlinks.com also allows you to control your anchor text distribution, following a golden ranking ratio (that we have found particularly effective through countless testing), that ensures your newly acquired backlinks fly under Google’s radar without compromising on highly topical relevant links for your money article. Now don’t get me wrong, I understand influencers have to eat and copywriters or bloggers need to have their own source of income, but we’re trying to make our affiliate marketing site as cost-effective as possible, so unless we’re talking about a very high-quality backlink, you’re better off getting a link from a tried and true PBN owner that understands the importance of link longevity and content control. Imagine you finally managed to filter between hundreds of bloggers and finally found one willing to link you for 15$. You agree, pay up, and three months later you find out that article’s link now goes directly to your competitor’s website. It turns out, your competition used a tool to go through your backlink profile, messaged the blogger and paid him to replace that link. You message the blogger but he doesn’t respond, and both your sales and rankings begin to tank because the influencer needed some beer money that month. When it comes to SEO for Amazon affiliate sites or SEO for digital marketing, you’ll want to go with someone that will never take their link down without warning, or decide to auction your hard earned backlinks. This is why we at blackhatlinks.com guarantee uptime on your backlinks the moment you purchase them. Constantly going through your Google Analytics reports and backlink profile to find out if someone has been playing dirty tricks on you is tiring and annoying, and it’s time and efforts best invested into making actual sales. This is another reason why PBN backlinks are king in SEO strategies for affiliate marketing. A resource page is a website that lists helpful, informational links on a particular topic. For example, a food blog might have a resource page that has links to different diets, websites that feature in-depth recipes and maybe even a couple of local restaurants. Once you find a resource page that is chock-full of outbound links to websites related to yours, ask them to include you as part of their resources. Now keep in mind, you’ll also want to go for topical relevance and not just high domain authority on each link, so don’t ask a gaming website to include your diet pills affiliate website as part of their resources. Make sure your content brings value to readers as well! Showcase some of your support articles if needed and for the love of everything, be polite when you request to be included. There are many other tips and tricks you can follow to rank your websites, such as topic relevant directories, foundational backlinks through social media and other gray hat techniques. But the fact of the matter is, if you want your highly commercial articles to get ranked fast on the first page of Google, you’re going to need PBN backlinks purchased from professionals and any effective SEO strategies for affiliate marketing has to factor them in. Whether you’re going for a niche website or an authority site, you’ll find that doing good old whitehat outreach is a gamble and a costly one at that. Building your brand from scratch and networking relationships takes time, and if you want a fast ROI on a site that you can later sell on flippa.com or empireflippers.com for big money, you’re going to need the help of professionals. 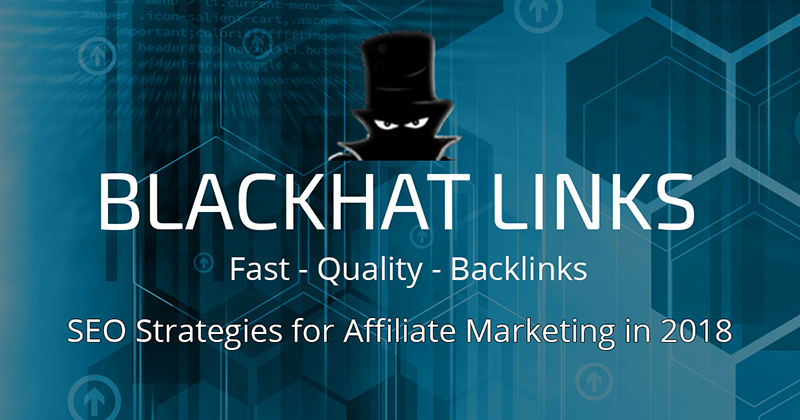 We at blackhatlinks.com have a multitude of tools and ranking packages that are tailor-made for affiliate marketers looking to rank their websites. We have tens of thousands of completed orders and satisfied customers who continue to return to us for more results and aggressively invest in anonymity and security to prevent our customers from dealing with any penalties or setbacks. I hope you’ve enjoyed our guide on SEO strategies for affiliate marketing and we thank you for making it this far! Feel free to drop a comment if you’ve got any questions!